Warren • Healy is trained and experienced in handling all your Federal Court needs, whether they are blue collar or white collar. Warren – Healy has litigated numerous cases in the federal district courts of both the Northern and Eastern Districts of Texas, including, but not limited to, wire fraud, mail fraud, mortgage fraud, possession of controlled substances with intent to deliver, and conspiracy. 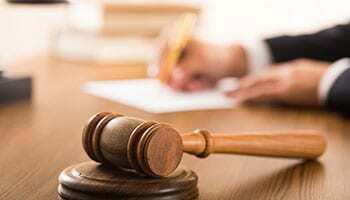 If you have been charged with a federal crime, it is important to consult with an attorney who is familiar with the rules and procedures of federal court. At Warren • Healy, our lawyers have significant experience handling criminal defense cases in federal courts in Texas and throughout the region. If you are facing serious federal charges, we are prepared to defend your rights. The federal criminal justice system is entirely different from the state system. The prosecutors and judges are different. The rules and procedures are different. Penalties are determined by sentencing guidelines, while state court sentencing is much more flexible. If you are facing federal charges, it is important that you hire an attorney who has experience in this unique legal arena. We apply a thorough, proactive defense strategy to every federal case we handle. We will start taking immediate action on your behalf, including interviewing relevant witnesses, working to suppress potentially damaging evidence, and protecting your reputation if necessary. If you are under federal investigation or have been indicted for a federal crime, we are prepared to defend you through all stages of the federal criminal justice system.